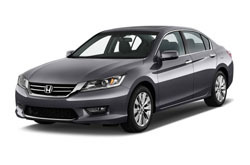 America's most popular midsize passenger car debuts an exciting entry: the 2014 Honda Accord Hybrid. It takes the luxury features, stylish design and fun-to-drive performance that consumers have always loved about the Accord and adds an advanced hybrid powertrain. Shoppers in Maricopa County can find the 2014 Honda Accord and Accord Hybrid for sale now in Phoenix, Arizona. The gas-only version is offered in LX, Sport, EX, EX-L, EX-L with Navi and Touring trim levels; coupe and sedan body styles are available. 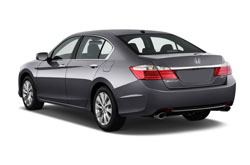 The Accord Hybrid is offered as a sedan only in EX, EX-L and Touring models. The Accord Hybrid is an MPGenius, but it doesn't just excel at delivering incredible fuel economy. It also provides top-level safety, segment-best comfort and ergonomics, and a well-rounded performance with three drive modes. Additionally, it builds on the Accord's already eye-catching style with hybrid-only design touches like a blue-accented grille and lights. 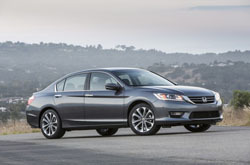 Edmunds.com's 2014 Honda Accord Hybrid review calls it "a true all-star midsize hybrid sedan," and when you take a test drive at Bell Honda you'll understand why. In its ninth generation, the Accord continues to offer luxuries that consumers love, matchless reliability and a performance that elevates the everyday commuting experience. The name Accord has become synonymous with words like value, dependability, style and technology, and now with the addition of a hybrid, Honda aims to add sustainability to that list. Accord has landed on Car and Driver's "10 Best" list an unprecedented 27 times, and has claimed a wide range of honors including the title of "Best Family Car" from Parenting Magazine and Edmunds.com, an "All-Star" award from Automobile Magazine and the status of "Best New Sedan Under $25,000" from KBB.com. Learn about features, powertrains and incentives when you come test drive the 2014 Honda Accord and Accord Hybrid in Phoenix, AZ. For more information regarding vehicle specifications, please see the rest of our 2014 Honda Accord review below. 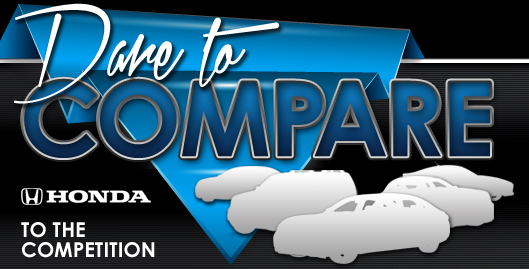 When you compare Honda's latest Accord model to the 2014 Volkswagen Passat, Toyota Camry, Hyundai Sonata and the Nissan Altima, you'll determine that it scores higher than the competition. The Accord's useful cabin features and bargain MSRP are just a few of the winning attributes that shoppers will be thankful for. You'll surely see that when compared to the vehicles in its class it's a remarkable value in regard to price, which is why many Phoenix Honda customers choose it. Take a peek at our Quick List below this text to find out more! We know your next Honda purchase is important; that's why we've provided the 2014 Accord review above, along with reviews of earlier models. It's our mission to serve reviews drafted by the most exceptional automotive writers in the business - it's just one of the things that makes us a well-known Phoenix area Honda retailer. Each paragraph is stuffed with usable information, including info about fuel economy and more - everything you need to make an educated purchasing decision. Now that you've read Bell Honda's review of the 2014 Accord, please phone us to find out about deals from the OEM and financing offers, so you can save a significant amount on your next purchase! For 2014 Honda Accord Plug-In Hybrid,�115 combined miles per gallon of gasoline-equivalent (MPGe) electric rating; 47 city/46 highway/46 combined MPG gasoline only rating. 13 mile maximum EV mode driving range rating. 570 mile combined gas-electric driving range rating. Ratings determined by EPA. Use for comparison purposes only. Your MPGe/MPG and driving range will vary depending on driving conditions, how you drive and maintain your vehicle, lithium-ion battery age/condition, and other factors. For additional information about EPA ratings, visithttp://www.fueleconomy.gov/feg/label/learn-more-PHEV-label.shtml.